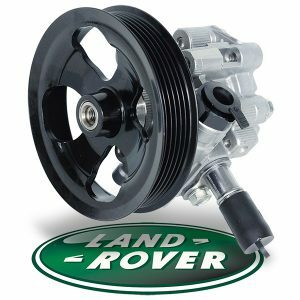 Where are the Land Rover pumps available from? The range of pumps offered are all brand new and manufactured in the UK by the OEM – JTEKT. They are supplied to the market by all of the major national account distributors and are available on a same day / next day delivery service together with the usual warranty. If there are any vehicle application questions then the distributor will be able to help. Call KPS on 01582 723490 for a list of distributors and their contact details. These pumps are the original equipment part fitted to the vehicle when it was built. KPS would recommend that this part is fitted to your vehicle by a competent person / mechanic at a garage and using the appropriate power steering fluid as recommended by Land Rover. This is to ensure that the new unit we supply via the distributor is not affected by contamination problems where the power steering system has not been purged properly.